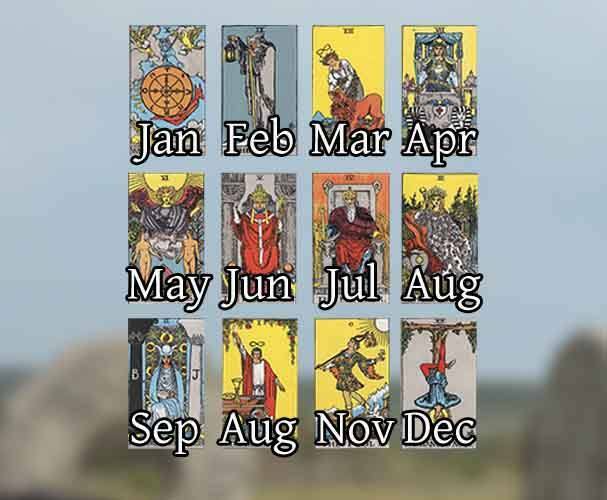 This twelve month spread is a good spread to do towards the end of a year to get some ideas about how the next will treat you. Each card represents a month in the coming year. Usually, we look back and say ‘so and so month was a great month’. This spread is designed to make you think about the year ahead and it’s potential ups and downs. As always, start without distractions, shuffle the deck and place the cards face down into the grid pattern. One by one, lift up each card and think about what it could be telling you. be sure to check the card meanings. Turning over each card in sequence is important at first, you don’t want to be distracted by a stronger card later on and focus on that. Each month in your life is as important as any other, even if you feel nothing happens. Look at the positions of the cards and think about what events they can link up to. Are you graduating soon, and you expecting a new job or a move? When the cards have been laid out, do not change them. Look up the meaning from either the major arcana, swords, cups, pentacles or wands.